Holistic dermatology focuses on treating the underlying causes of an individual’s skin problem using the least invasive means first. It focuses on environmental and nutritional factors, gut microbiome and function, and history of exposures to chemicals, organisms and stresses as potential sources of inflammation or modification of the body’s ability to deal with potential antigens setting off inflammatory processes. Don’t forget to check out part II and part III. 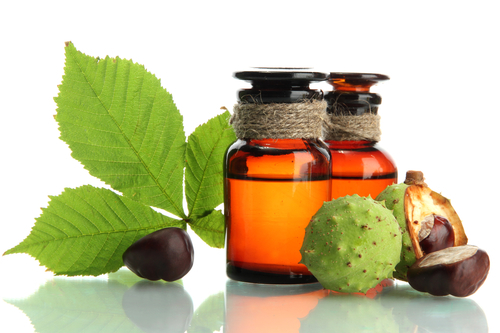 Understanding of the scientific mechanisms involved helps find both causal factors and natural remedies. Modern drugs enable the dermatologist to prevent morbidity and even mortality in acute and severe skin conditions. However, the potential risk of collateral damage from inhibiting mechanistic pathways makes this form of treatment fall toward the end of the option list, in a holistic approach. Understanding the factors causing the patient’s exposure and how that could be altered is primary. Generally, a dermatologic diagnosis and an etiologic diagnosis are made. Focus is placed on changing the etiologic factors that lead to the skin disease. Often that requires improving the function of other organ systems in the body, especially the digestive system. Detective work starts with exploring the events occurring before the onset or re- exacerbation of a patient’s rash, as well as the response to treatment using medications, supplements or dietary manipulations. The more one understands about the healing systems tried, the better one can interpret the causal pathophysiologic implications. 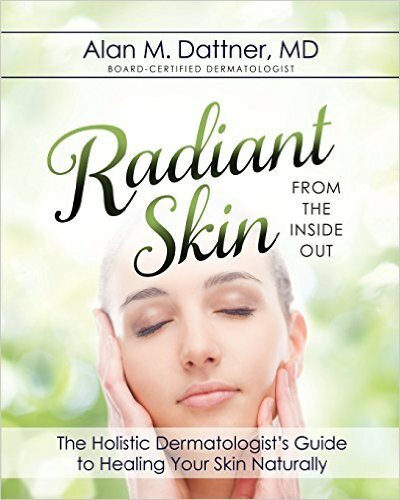 Diet changes and nutritional supplementation are key tools used in Holistic Dermatology. They are used according to several perspectives, including good medicine, functional medicine, and modern integrative medicine, and other healing systems familiar to the practitioner such as Ayurveda and Chinese medicine. Each system has its own form of “energetics”, which might dictate choices more congruent with the nature of the individual involved than just addressing the problem itself. Some of these are principles that have roots in many different systems of healing, including American herbal medicine and dermatology. For example, a patient who is “plethoric”, who easily gets fired up and brings blood to the face, and has rosacea, would not be given a hot cayenne pepper drink to loosen up their mucus to help their cold, because it would aggravate their underlying problem. Nutritional changes are made to remove antigenic foods, to improve insulin balance, to improve the microbiome, and to reinstruct the gut immune system. Supplements are given to improve digestion, support removal of toxic substances, aid hormonal function, and counteract genetic defects of metabolism, to name a few. To have a better perspective on the underlying causal factors, at least one other system is required. Imagine Plato’s cave, where we peer in and only see the shadows on the wall. Having at least one other window to give perspective on the characters forming those shadows, gives us more of a three dimensional picture of the nature of the characters forming the shadows. So too, going beyond conventional medical data and integrating in systems of your choice can give a deeper perspective on causal factors. This allows new treatment perspectives to alleviate the problem. Many practitioners and lay people attempt remedies from diet and other systems to treat skin diseases. Their perspective is that the skin is easy to see and treat, and the conditions are relatively benign. They unfortunately do not have the deeper understanding of the skin that comes with dermatology training and practice, so they often fail because they lack this essential pillar of knowledge for treating difficult skin conditions. At the very least, they are unable to hold in mind a proper differential diagnosis, which is essential to consider as new data emerges, reflecting on the underlying pathology. This is why holistic dermatology should include a strong background in dermatology. I call my work “holistic” because it involves more than the physiology and immunology of the skin. It involves the entire nature of the individual. If a patient is stuffing an emotional conflict with food or scratching, it takes more than pointing out the change needed to change their disease-aggravating pattern. The more effective your ability or that of your network, the better you will be able to help these individuals. This may require psychologic, emotional, or even spiritual perspective to shift the patient’s patterns. Finally, there is a societal perspective. We have slid into exposure to many pesticides, preservatives, flavoring agents, natural extracts, petrochemical products, heavy metals, and an astounding 151 lbs of sugar average consumption per person per year in this country. This is only a fraction of the potential aggravators considered normal in our population. It is often a formidable task just to normalize consumption in face of the overwhelming pressure to consume and the prevalence of aggravating factors. As we speak as a group about the dangers of tanning beds and excessive sun exposure, so too should we consider speaking of these other culture-wide dangers. Please check out part II and part III, along with these resources below.